Now available for order is the EGC545 deterred sight (45° deflected core) egg crate return grille. When installed with the deflection angled towards the area least likely to be occupied, like the closest adjacent wall or the ceiling, this product offers a limited sightline through to the plenum space. 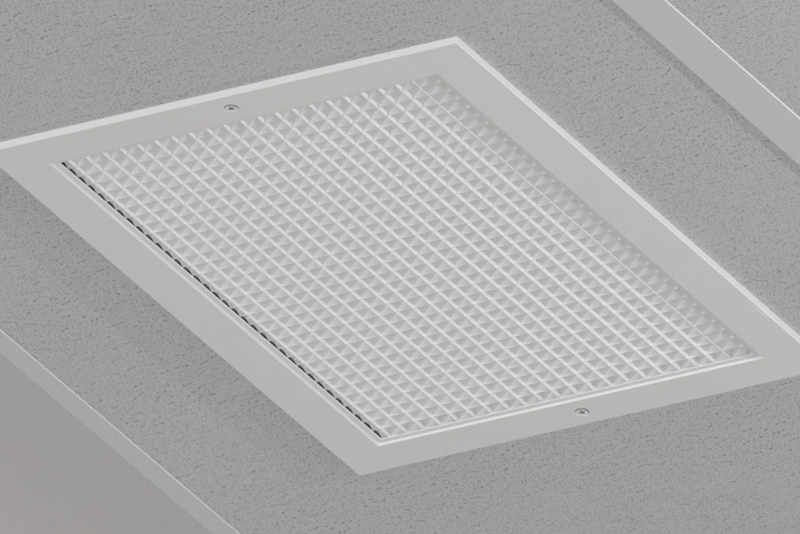 Features include a free area greater than or equal to that of other competitive 45° deflected return grilles, which results in comparable or superior sound performance.